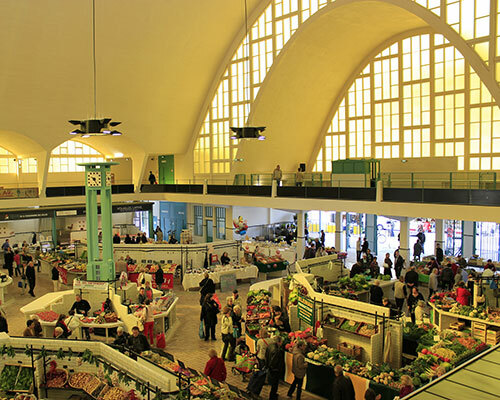 Built in 1927 by the architect Émile Maigrot and the engineer Eugène Freyssinet, the Boulingrin Covered Market was created following an architecture competition launched in 1922 for the construction of a wholesale and retail market, but was then closed down in 1988. The arch of weakly reinforced concrete which overhangs the stalls at a height of 19.85 metres is only 7 cm thick. Classed as a historic monument, the covered market has been newly renovated and restored to use in 2012.